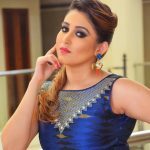 Debolina Dutta started her acting career as a child artist. 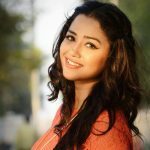 She is well known for her work in the Bengali TV serials like ‘Thik Jeno Love Story’, ‘Shaola, Satkahon’, ‘Protibimbo’ and Bengali movies like ‘Force’, ‘Manush Amanush’, ‘Eber Shabor’, ‘Chotushkon’ etc. 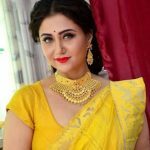 She has also worked in the commercial advertisements for ‘Amrutanjan Healthcare’, ‘Minu sarees’, ‘Keo Karpin Hair Oil’, ‘Anjali Jewellers’, ‘Rangajoba Sindhur’etc.